Sometimes seeing how people see things outside of the Washington & NY bubble lets you know you're not alone. As Crazy as the world has gotten there are still many of us out here who see things from a different perspective. A real perspective because we are living and working in the real world. Working day to day to make the ends meet. It is rare that I find myself so intrigued by an author. In the case of Jack Night, I did and found that I had to read everything thing he had written to date. For me, that's rare, if it’s a series, sure but not when it’s a stand-alone novels or novella. 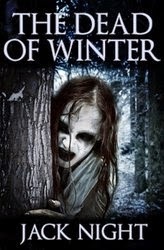 “The Dead of Winter” grabbed my attention, from first glance. It was something of nightmares that I felt compelled to delve into. Going a little further I read the blurb & back jacket of the book and found myself wanting to read more in this story. Anyone who knows me knows horror is not my forte as a rule, but there was something unique and special about this book. 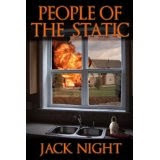 It became my guilty scary pleasure as I got to know the characters and the horrors unleashed on them. You are immediately drawn into his nightmare by the striking cover, and find yourself wanting more. Names like Stephen King, Blake Crouch come to mind when I think of his style of writing. Jack Night was born in Kansas and settled in Florida with his family at age three. It was there he attended college at Full Sail University in their film & video program before heading to Los Angeles to join the ranks of those working in the film industry. He found himself working at everything from script reader for a studio, to being a paid screenwriter and associate producer on a film that included Gwyneth Paltrow. After several years of working inside the Hollywood industry, he returned to Florida ready to commit to his writing full time and graphic design. His love for writing, that he shares with many writers out there, was something he has always done, it’s a passion. In school, it was a way to distinguish himself, which helped him realize that this was something in which he excelled. He is also a voracious reader and found a connection to both Edgar Allen Poe and Stephen King, which helped him find his way into horror. I asked him, how he came up with his ideas? “I find my ideas everywhere and in everything around me. I keep a list on my phone of all the random things that occur to me or things that might pique my curiosity.” Some examples of this are Morgellon’s disease, Mel’s Hole, and the Kelly-Hopkinsville goblin case. 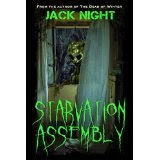 These stories where the inspiration for his book "Starvation Assembly". I found myself agreeing with much of what he had to say about his process. New writers can all too often get lost in the details forgetting that it is a story and not a history lesson or nonfiction. One of the questions I was able to ask Jack was about his storyline and if he preferred the longer story as in a novel or the shorter versions of a novella or short story. Again his answer was well thought out and made some good points new authors may want to head. Regarding publication the question came up of whether to self-publish or follow the industry publishers. Once again, I was pleasantly surprised by his articulate answer. When Jack was ready to publish his first book, the self-publishing industry was showing promise with some early success stories. He had also heard a few horror stories concerning one of the major horror publishing houses in the industry that helped make his decision. 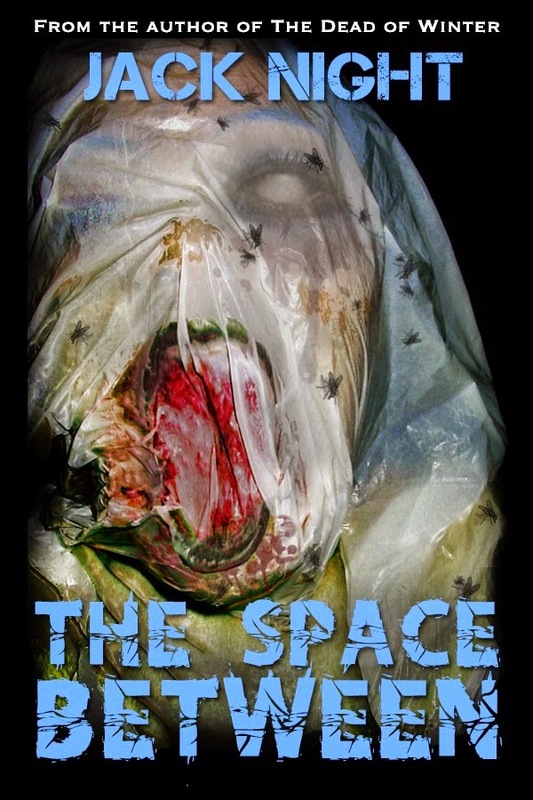 Since he did his cover art, writing and intended to handle his self-promotion he opted to self-publish. This has allowed him the ability to retain the full rights, royalties, and control over his publication schedule. 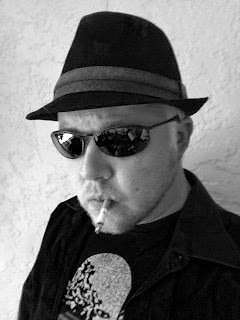 He does point out that he uses the services of a good editor that he was able to connect with at one of the horror writer’s conference specifically KillerCon in Las Vegas. Jack also advised that for any author the writer’s convention have a purpose and he recommends committing to going to at least one a year. It’s an excellent way to meet other peers in your genre and connect with individuals who provide services such as editing, cover art, etc. In my own journey, I’ve found listening to panels of guest authors, and informative speakers at such conferences both inspiring and useful. The self-editing and editing process seems to be one area where writers will vary. Some writers get caught in this trap throwing away pages of work for no good reason. The hard part is when to know that we are doing more harm than good. When to double check ourselves and when to just leave it alone. His advice on the subject is this. One of the last questions I had for Jack was what one piece of information would he give to those who read and love his books? “If I could tell my fan base one thing, it would have to be that I would love more interaction. Yes, I write for myself to a large extent but hearing from my readers is honestly what pumps me up and keeps me motivated to keep writing. Amazon reviews are probably the easiest way to give me feedback or to even let me know that people are reading and enjoying what I write. . Even beyond the Amazon reviews you can send me an email, leave a comment on the blog, or even hit me up with a comment or message on Facebook. I’m going to push for a lot more interaction with my readers this year. The more I hear from and know about my fans, the more I can deliver the kind of stories they want to read." It is important to hear from your fans. Those reviews left on sites like Amazon, Goodreads, Barnes & Noble’s make a difference to writers. Why? Because many authors do read them, we want your impute. We like knowing when we are doing something you like, what characters you connect with and what ones you hate. As writers, the fans are the ones who keep us going in a job that is pretty much a solitary profession. This last bit is for writers, we each have our own habits and tricks we use to write. For some its music, location, time of day what works for you? His advice to new authors just starting out? “First and foremost if you’re an author just starting out, WRITE! Writing is the only way to perfect your craft and find your voice. You can study up on the details of it all you want, but the only thing that will make you better is to sit down, pen to paper, or fingers to keyboard and write. My next piece of advice would be to treat it like a job. If writing is something that you would like to do long-term, then you need to approach it that way. To all the mom’s out there who get up each morning to make sure your kids have breakfast and a lunch to take to school. The moms who go to work when their sick because they know they need to save those days for when the kids are sick and need them more. Thank you, for your sacrifice, you give without question or demand. To you, there is no greater joy then the feel of your child’s arms wrapped firmly around your neck in a hug. 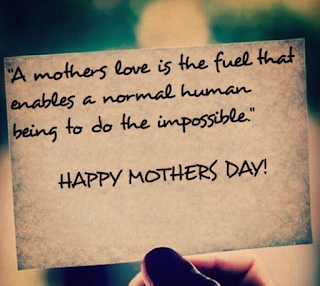 To the mothers who never stop, never quit, on their kids, no matter how much heartache or disappointment they may give us. You love without question. Your grace and beauty under such pressure is to be admired. To the moms who have sat up, watching the clock until their children are safe at home. You deserve to be acknowledged and thanked for being there. For eve time, you have had to come to the rescue, either to rush, some forgotten item to school or to pick up a teenager because it wasn’t safe for them to drive home. Thank you. Your patience under even the hardest circumstance is to be respected and admired. For the many years of selfless love, sacrifice, and caring. Thank you. You know who you are. Sometimes you’re going it with a husband by your side. For others, it’s a long lonely road that is gladly traveled for those we love. Thank you. For the mothers, who have passed on leaving a legacy, of their love behind. In life, your selflessness showed us how to love. Thank you, for the time we were blessed to have you in our lives. 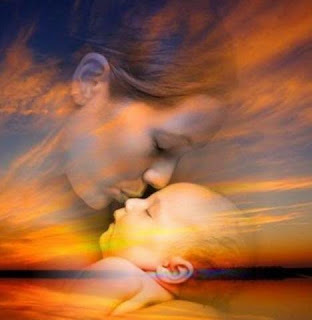 Please take a moment to thank all the beautiful mom’s in your life today. Let them know that what they do matters. Let them know how proud you are to have them in your life, even if they aren’t your mom. It is easy to forget all the things mom does. We take for granted their selfless desire to put our happiness first. Moms aren’t always limited to one person; sometimes we are lucky enough to have several women who play this role. Women who help shape who we are, being role models, guides or friends. So please take a few moments out of your day and reach out to share your love with them and say Thank you. 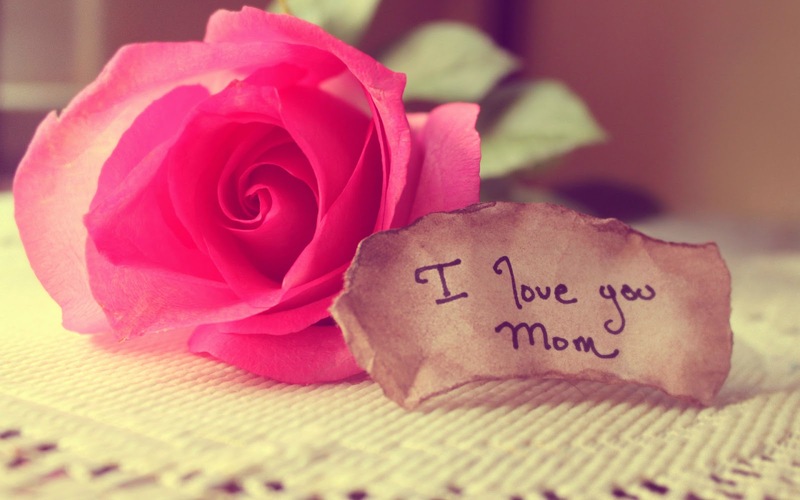 I wouldn’t be who I am if you had not been in my life and shown me what it means to be a mother. Thank you! this is your gift your day. College For "3" Two Kids and Me by Robin A Joustra is licensed under a Creative Commons Attributio. Picture Window theme. Theme images by pederk. Powered by Blogger.